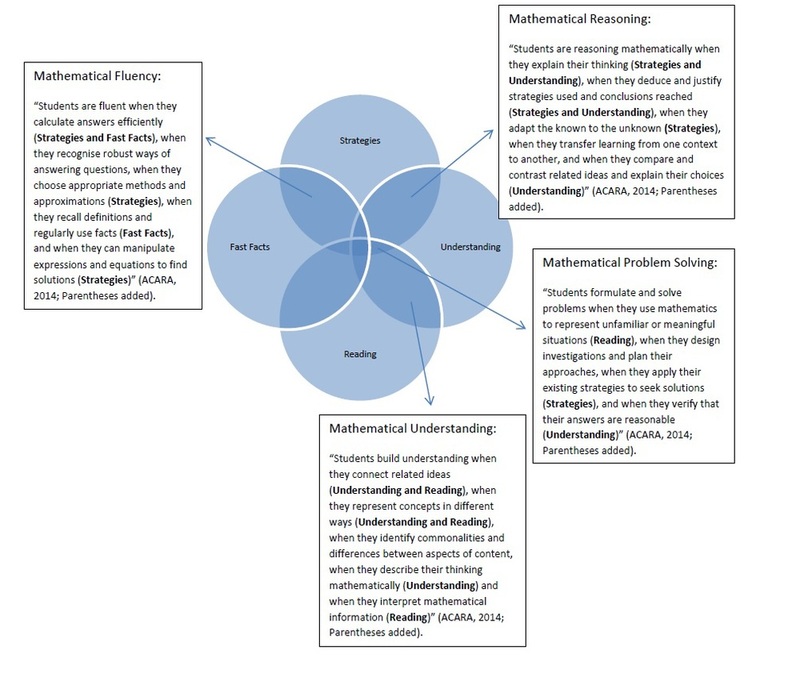 Although doing ‘mental maths’ is perhaps most obviously associated with the fluency strand, the SURF framework is clearly embedded within all four proficiency aspects of the Australian Mathematics Curriculum (ACARA, 2014). For example, the Reasoning proficiency strand clearly connects to both the Strategies and Understanding goals of SURF. Within the Strategies goal, there is an emphasis on students explaining their thinking, justifying when and why to use a particular strategy and moving from the known (e.g., facts they can directly retrieve, such as doubles facts) to the unknown (e.g., adapting this knowledge to answer a related question, such as discovery of the near doubles strategy). Likewise, within the Understanding goal, students compare and contrast related ideas, such as, for example, when they identify that there is more than one way of solving a particular maths problem. Figure 1 represents an attempt to map the SURF framework onto the four proficiency strands.